Purpose built centre is a dedicated single site Mountain Biking location, with a visitor centre and MTB facilities. A Mountain Bike Base is an area or locality hosting several waymarked or mapped mountain bike trails. We're all looking for the perfect ride, and our selection should get you closer to true trail love. 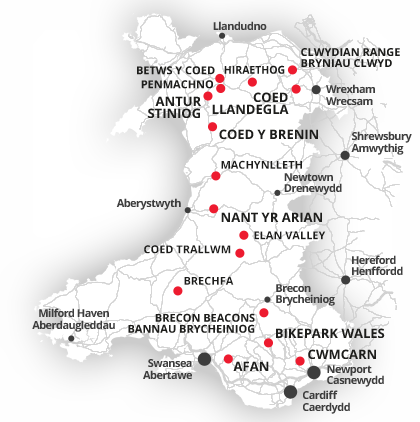 Each of the mountain bike centres and bases in Wales offers a variety of ride experiences. Our trails are graded to help you choose the best to suit you.